Greetings from Portland, Oregon. Our Friends support group for the local Multnomah County Library system receives donations of books and paper from supporters in town and recently a class photograph was found between the pages of one of the books. Using the teacher's name and the name of the photographer to search, I discovered that it is a Cardin photograph that you might want to see or post on your site. 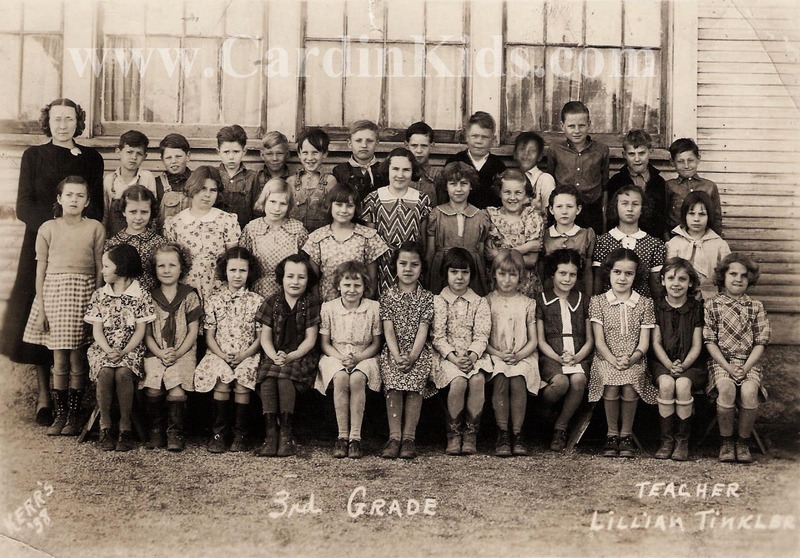 The teachers is Lillian Tinkler, the year is 1938 (under photographer's name) and it is a third grade photograph. These kids are wonderful. I'm sure some of them are still living. Look at those little cowboy boots in the front row! At any rate, you are welcome to share the photo. And if you know of anyone who would like to add it to their history collection for the area, let us know.